I just wanted to let you know that I think the tribute site you have put together for Dustin is wonderful. I love reading your letters to him and looking at all the pictures. 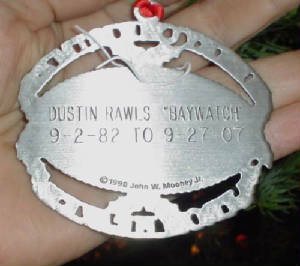 It is really neat to see how special Dustin was to his friends and family. I only knew your son for a very short period of time. We met at Garner State Park when he went out there with the Bryant's I believe he was 14 at the time. Me and some of my Girlfriends had gone that same weekend and we ended up meeting up with Dustin, Billy, and Kenny. It is so amazeing to see that Dustin was truely a genuine person , now days that is hard to come by. Just reading the comments his friends and his family have made and remembering his attitude towards life and the way he treated people from what I saw that weekend we met is amazeing. Just a funny story about him...We nicknamed him Baywatch that weekend because he made sure that we all stayed together when we floated down the river, that poor guy was running back and forth but never complained one bit. Like I said I only knew him for a very short period of time but when I heard that he had passed away it really hit me I guess being a mother now myself I just couldn't imagine the feeling of loosing a child but I think that it is wonderful that you have God in your life and know that Dustin is in a wonderful place now smiling down on you and all that love him. 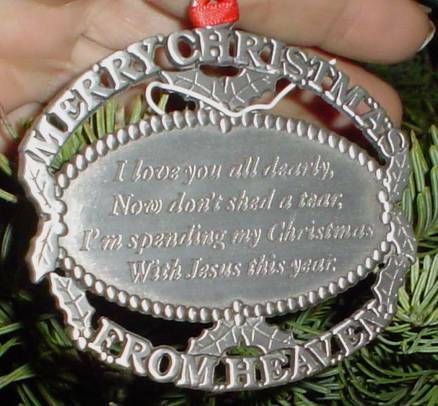 May your heart continue to heal and the memories continue to flow. 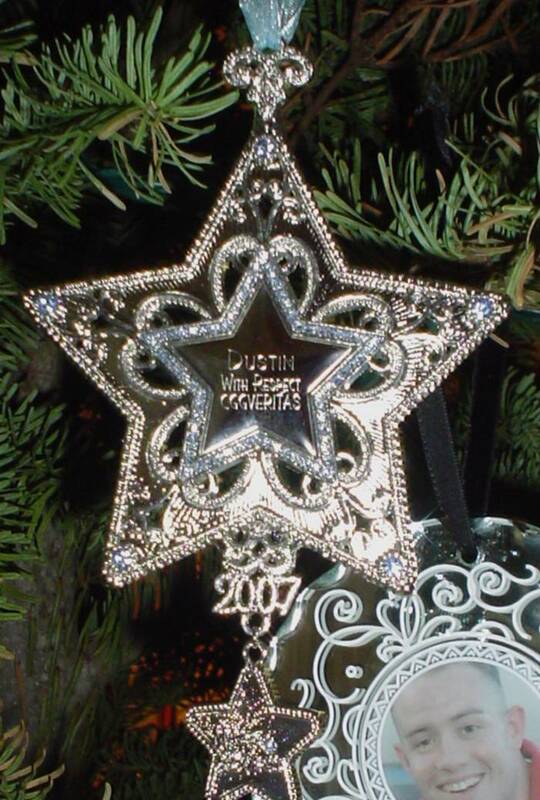 CGGVeritas and the entire crew of the SR/V Veritas Vantage would be honored if you would include our ornament on the Christmas Tree in honor of Dustin. Sadly with us for such a short time, Dustin is deeply missed by all of us who were so very fortunate to have known him.